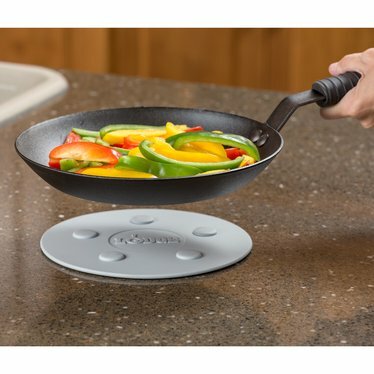 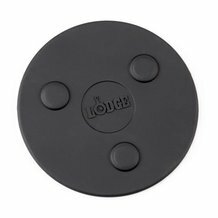 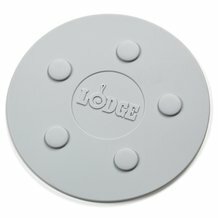 Lodge® magnetic trivet sticks to the bottom of your cast iron pan, so you can freely move your pan to the counter or around the table effortlessly and safely. 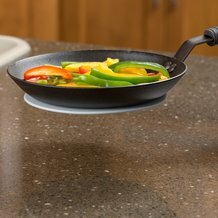 No need to move the trivet! Note: Always remove trivet before cooking.